Eagle Bluff, as viewed from downtown Ephraim. Photo by Dan Eggert. William Tishler never had it so good. The Baileys Harbor native spent the summers of 1956 and 1957 living at Nicolet Bay and collecting camping fees for Peninsula State Park, where visitors would see him patrolling the grounds and pull him from his duties to offer a cup of coffee or a plate of eggs. “I don’t think I ever cooked for myself,” he remembers from his home in Madison, where he began a long tenure as a landscape architecture professor at the University of Wisconsin-Madison in 1964. William Tishler. Photo by Dan Eggert. Tishler paints a picture difficult to imagine. 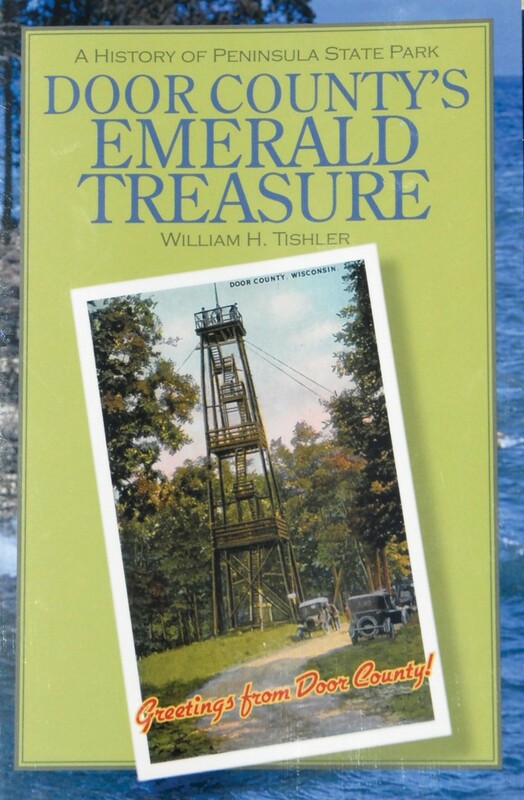 Now Professor Emeritus of Landscape Architecture at the university, he wrote a book about the park last year titled Door County’s Emerald Treasure: A History of Peninsula State Park. He stepped into the middle of that history when it was a park with few trails and just three general campgrounds – Nicolet, Welcker’s Point, and Weborg Point – with no numbered campsites. A time when “reservations were virtually unheard of,” and the park just wasn’t very crowded. Try visiting Nicolet on an August afternoon and conjuring up such an image today. While the idea may strike you as simply absurd, here are a few images that are absolutely unbearable: Nicolet Bay Condominiums. Eagle Bluff Estates. The Shores at Weborg Point. These names might have been staples had history taken a wrong turn, and it might have. For though it seems implausible today, when talk of creating a state park between Fish Creek and Ephraim heated up in 1908 and 1909, a number of influential people and publications were against the proposition. Perhaps influenced by Holand, shortsighted resort owners of the time expressed fears the campground in the park would take away from their business as well. 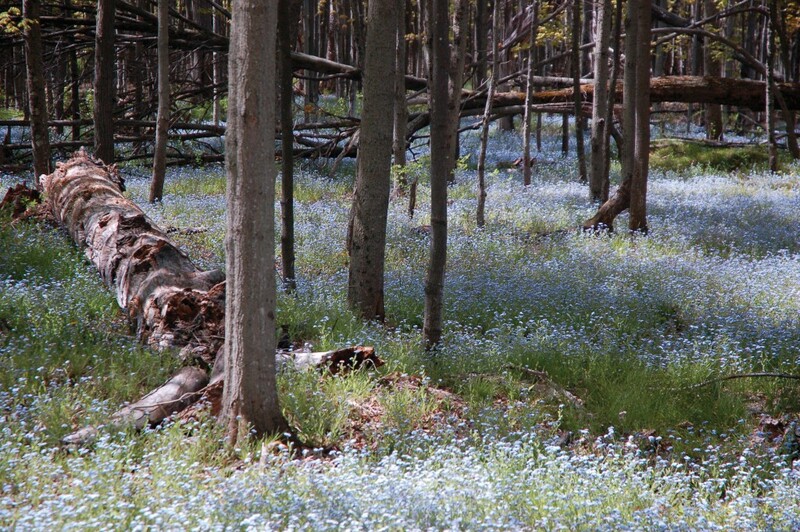 “Discriminating people, now numbering at least 1,000 a year, have discovered its charms and become familiar with its attractions,” Nolan wrote in his report supporting the establishment of Peninsula State Park. He predicted many more would come to experience the park and surrounding communities if it were established, but it’s doubtful he knew quite how prophetic his words would prove to be. Nearly a century later the park has become much more than an attraction. 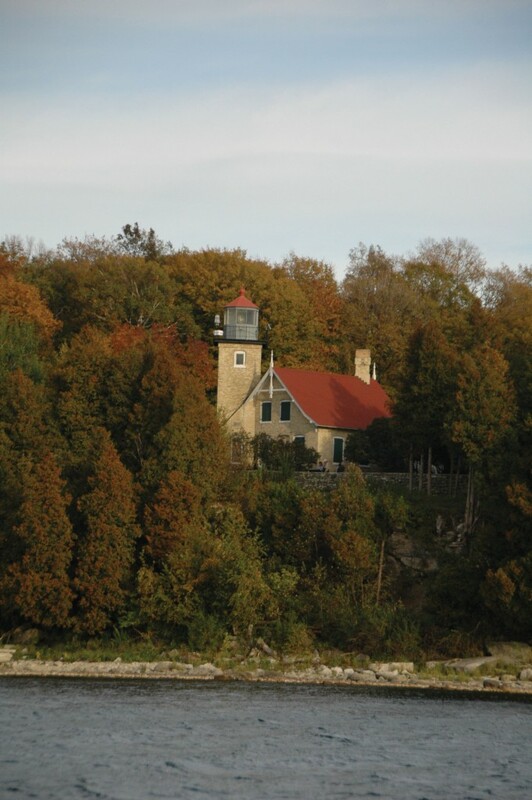 Placing a value on the importance of Peninsula State Park to Door County is a daunting task, for over the years it has come to mean so much to so many in terms both personal and economic. The 3,776 unspoiled acres, along with miles of undeveloped bluffs and shoreline protected inside the boundaries of the park, help define the towns that bookend it as well. Blackwood illustrates the connection by asking a simple question: “What would Ephraim or Fish Creek be without Peninsula State Park?” An Ephraim sunset without the simple silhouette of Eagle Bluff or the waters of Fish Creek without the quiet framing of Weborg Point are images appreciators of both would rather not consider. Those views are postcards, cherished memories, and the highlight of many a family photo album. In fact, the creation of the park may very well be the most important and successful marketing effort Door County ever embarked on. Eagle Bluff Lighthouse. Photo by Dan Eggert. In naming its best small-town getaways in the Midwest in April, Midwest Living magazine gave a nod to the park. 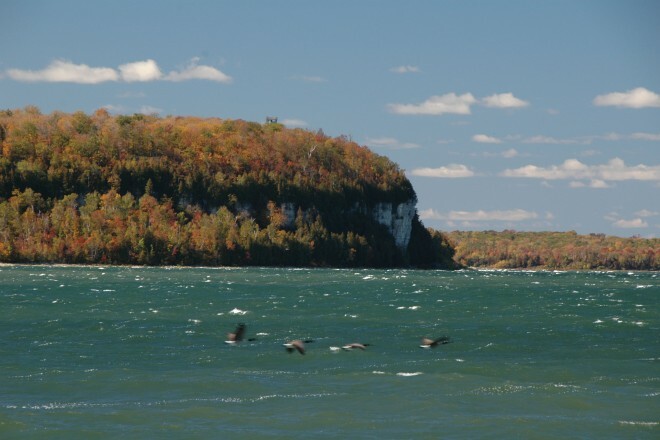 First mentioning the many attractions of the Door Peninsula, the magazine concluded by writing, “Ephraim and Fish Creek, bookends to Peninsula State Park, epitomize what’s most appealing,” about the county. In addition to its natural beauty, Blackwood said it’s the wide range of amenities that makes Peninsula the jewel of the Wisconsin State Parks system. “Name another park that has a lighthouse, a professional theatre, and a championship golf course,” he asks rhetorically. There are, of course, none. 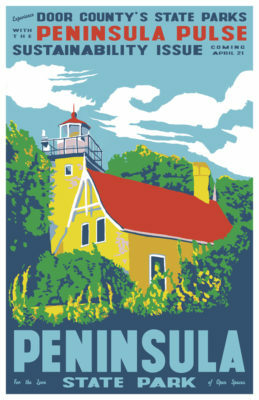 Those highlights come in addition to landmarks such as Eagle Tower and its tremendous view; Nicolet Bay, always rated among the best beaches in the region; 12 miles of great off-road bike trails; the breathtaking view from Sven’s Bluff; and the fact that it has more campsites than any other park and is the state’s most popular camping destination. Only when you consider the complete package made possible by the topography and location of the park can you begin to appreciate the astounding vision Nolan displayed in calling for this precise location. Today it’s the second-most visited park in Wisconsin, behind Devil’s Lake in Baraboo, and its management is no easy task. Tishler says he “never dreamed that tourism would boom the way it has” back when he was collecting fees five decades ago. Blackwood puts today’s park operations in perspective, however. But Peninsula, like all Wisconsin parks, is feeling the effects of the state budget crunch. Arnie Lindauer, Regional Parks Program Supervisor for the Department of Natural Resources, says the parks are becoming more revenue-driven every year. He relates the parks used to get 50 percent of their funding from fees and the rest from the state’s general fund, but the latter has now dropped to about 25 percent. If it shifts much further he fears it could lead the parks system down a slippery slope, nudging management away from preservation and toward a revenue-driven approach. Blackwood says the parks would be better served with a stable, designated source of revenue. “With increased dependence on revenue you’re more subject to variations in weather and gas prices,” he says. So far park managers have handled the crunch by cutting staff. Blackwood says he’s reduced by about 30 percent from a decade ago, mainly by hiring late in the spring and laying off early in the fall. “But the problem there is those are the times, in the shoulder seasons when it’s slower, when you can do the maintenance you need,” he says. Lindauer says the park system doesn’t have anyone fighting strongly for it in Madison, despite the economic benefits the parks provide for the finances of Door County. 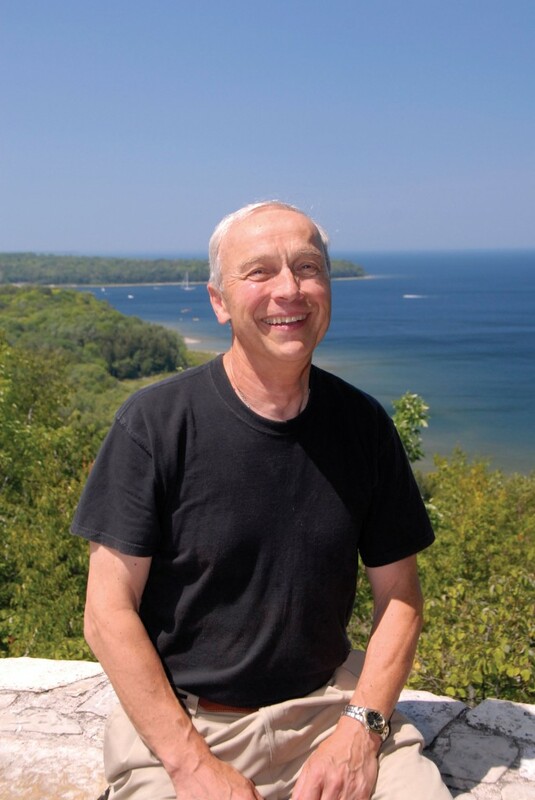 This point was not lost on tourism consultant Roger Brooks, who visited the county in July of 2005 to produce a report on the destination for the then Door County Chamber of Commerce (now the Door County Visitor Bureau). In his report, Brooks praised the state parks, but pointed out that Wisconsin ranks near the bottom of the nation in state park funding. He urged the bureau and the larger community to begin lobbying on behalf of park funding, recognizing the impact the county’s five state parks (Newport, Potawatomi, Whitefish Dunes and Rock Island are the others) have on bringing in tourism dollars. Already, many of the programs and amenities that make the parks special are provided by Friends of the Parks groups. These groups raise funds for grooming equipment, naturalist interns, programming, buildings, and trails, as well as volunteers to groom trails and care for the park. “We would be in dire straits without the friends groups,” Lindauer says. Lindauer, Blackwood, and Tishler all express the hope that the public doesn’t let things get to a crisis point, but instead continues with the foresight displayed in the county’s infancy. “What we’re celebrating at our centennial in two years is that those people had a vision a century ago,” Blackwood says. “We can use Peninsula as a prime example of the need to preserve. The parks are portraits of what the county used to be.” Portraits that, like art, are often underappreciated. “When I grew up I took all of these things for granted,” Tishler says. “It was not until I went away and came back that I recognized how incredible it was.” Now, as it does for so many residents and visitors alike, Peninsula holds a special place in Tishler’s heart. Can Room Tax Support Our State Parks?